Thanks for tuning into Hillary’s Ride for Mental Health! My reasons for getting involved in Hillary’s Ride are many. I never actually met Hillary, but I have come to know Bill and Betty jo through their Northern Lights Folk Club. They are very hard working, generous, down to earth people – and I need people like that in my life. When I heard the circumstances around their daughter’s death, my heart ached for what their family had to go through (and still deal with today). But I also admired their resolve to help other families and young people dealing with depression and other mental health issues. I myself have struggled with depression, although thankfully not to the severe depths that some people experience. I have always thought that there is still too much of a stigma around mental health issues, even though it is a medical problem. It is not due to personal weakness, nor is it just a matter of “picking up your socks and getting over it”. I think the reluctance to talk about this is a major barrier to people getting help. This is especially true for teens and young adults, who are still trying to discover who they are, and don’t want to open themselves up to ridicule, or feel like they don’t fit in. In the past, I have volunteered with a crisis line that dealt with the issues of suicide and depression, so I have seen how widespread these issues are, and that affect not only the person, but their family and friends as well. We need to open up the dialogue, so we can talk freely without shame. On a lighter note, it has always been on my bucket list to cycle across Canada. I thrills me that I can make that wish happen, while raising awareness for such an important issue at the same time! And I also love folk music, so this is bringing together many passions I have into one massive experience of a lifetime! I know it will be a huge undertaking, both the preparation and the ride itself, but it is a challenge I welcome and look forward to. We have a great team working on putting this together, and I am getting to know a whole new group of friends because of it. What could be better than that!? 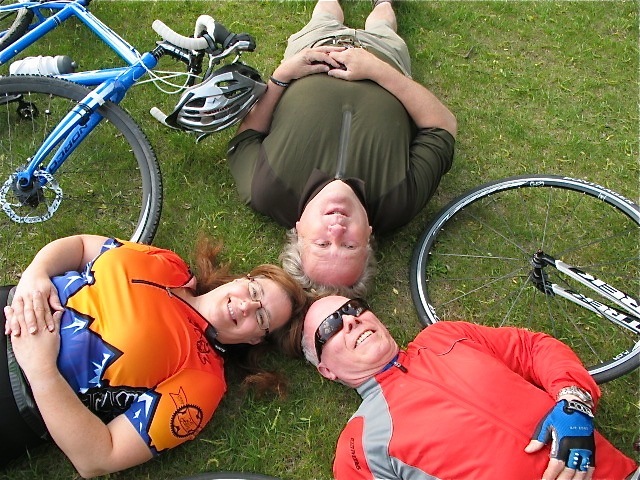 This entry was posted in Riders' Ramblings, Sue Sohnle and tagged bucket list, folk music, motivation by Sue Sohnle. Bookmark the permalink.